Chinese New Year and Valentine's Day is just around the corner, and I'm assuming that you need a new bag. Oops. 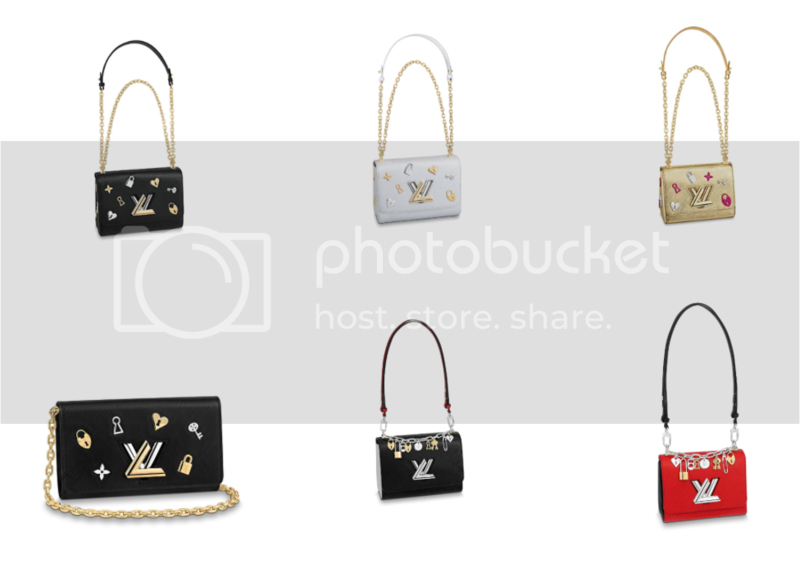 Louis Vuitton launched their Love Lock collection recently and the pretty bags are a little too hard to say no to. 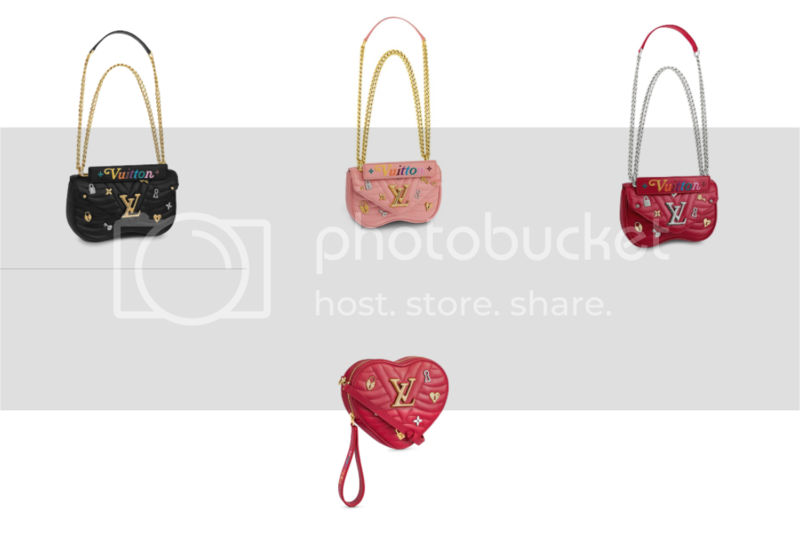 As the collection's name suggests, the bags from the collection are adorned with hearts, locks, and keys, and these detailings are seen on their classic and current favourites like the Speedy, Neverfull, Twist, Alma, NéoNoé and the New Wave. The New Wave collection stole the hearts of many when they were launched in early 2018. A new adorable silhouette was added to the New Wave line in their latest New Wave collection. 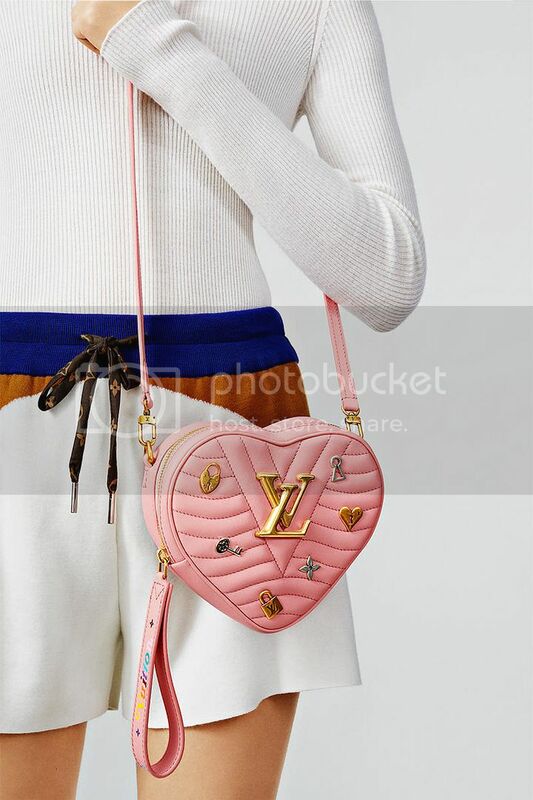 Called the Heart Bag, it comes in the shape of a heart and it measures approximately 18cm by 15.5cm by 5 cm. 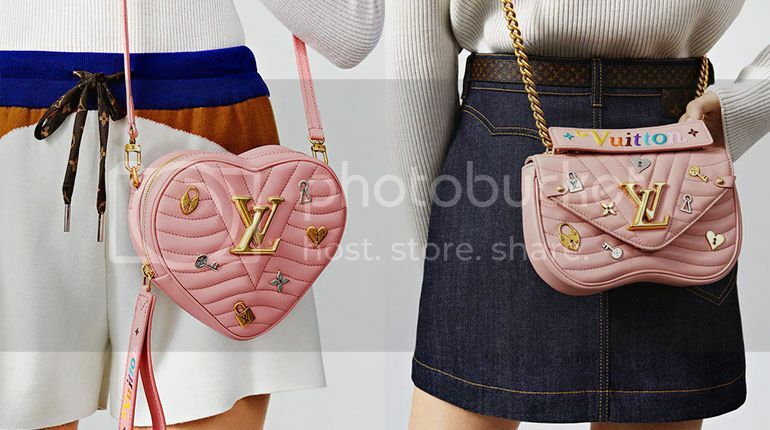 It comes in quilted calf leather, signed with the Louis Vuitton initials and adorned with symbols from the Love Lock collection. 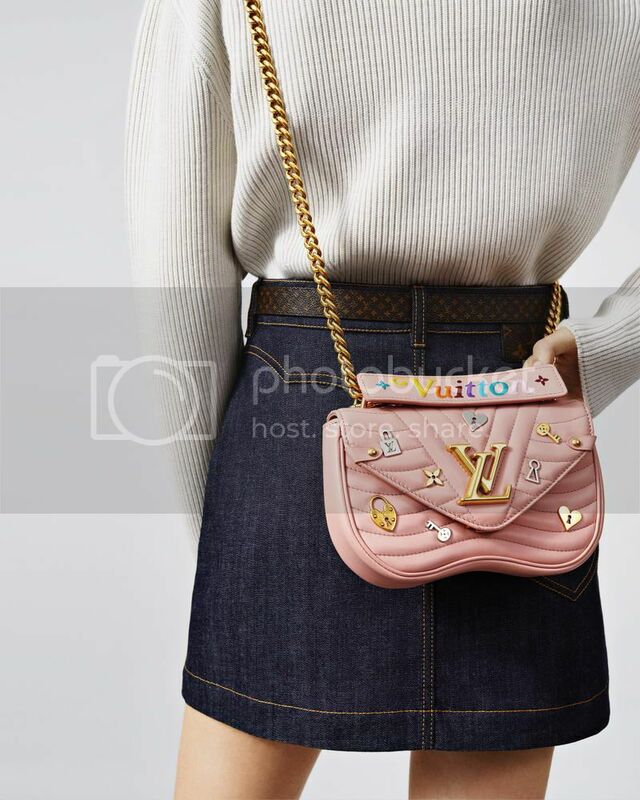 The colourful "Vuitton" on the bag handle adds to the playfulness of the bag and the bag can be carried in three ways -- by hand with its handle, cross-body with its leather strap, or on the waist with its belt loop. The bag comes in two colours, pink and red. Another one of our favourite under the New Wave line, the chain bag also comes in smooth quilted calfskin and decorated with the Love Lock collection symbols. 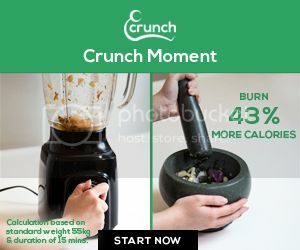 It comes in two sizes, PM (21cm by 13cm by 6.5cm) and MM (25cm by 15cm by 7.5cm), and three colours, rose, red, and black. 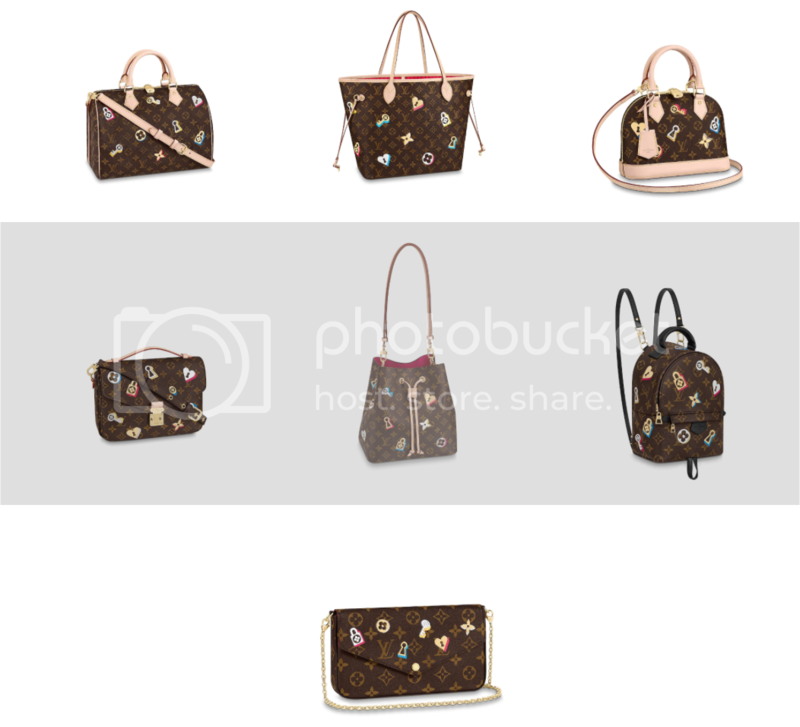 The bag features a removable handle, signed with the new multicolour “Vuitton”, as well as a sliding chain for shoulder and cross-body wear. However, these are not the only two bags from the Love Lock collection. Check out the other designs below.